Has inheritance tax planning been turned on its head? From time to time there is a change to the income or corporation tax system which can significantly impact on capital tax planning. Some would argue that the new tax treatment of pension funds is one such change. Where an individual has not bought an annuity, a defined contribution pension fund remains available to pass on to selected beneficiaries. Inheritance tax (IHT) can be avoided by making an ‘expression of wishes’ to the pension provider suggesting to whom the funds should be paid. However, under the old system there were other tax charges. These charges reflected the principle that income tax relief was given on contributions into the pension fund and therefore some tax should be payable when the fund was paid out. In some situations tax at 55% of the fund value was levied. There are now significant exceptions from the tax charges for benefits first paid on or after 6 April 2015. Anyone who dies under the age of 75 will be able to give their defined contribution pension fund to anyone completely tax free. This is subject to the condition that the fund is transferred into the names of chosen beneficiaries within two years. A beneficiary can take the fund out as a lump sum, buy an annuity or take income when required through drawdown. Those aged 75 or over when they die will also be able to pass their defined contribution pension fund to any beneficiary who will then be able to draw down on it as income whenever they wish. They will pay tax at their marginal rate of income tax when the income is received. The same tax position applies where a beneficiary receives an annuity payment. Beneficiaries will also have the option of receiving the fund as a lump sum payment, subject to a tax charge of 45%. It is proposed that from 6 April 2016 the lump sum will be charged to tax at the recipient’s marginal rate of income tax. The fund does not have to be left to just one beneficiary – it can be split among many beneficiaries and the beneficiaries are not restricted to the person’s family. The new tax treatment does not apply to the extent that the pension fund exceeds the Lifetime Allowance (currently £1.25 million but set to fall to £1 million from 6 April 2016). Eric is 65 and is thinking of retiring. He has built up a good pension fund and has other investment assets. He has passed control of his company to his son who is now running the company but he envisages he will continue to receive a reasonable dividend from the company. His wife is to inherit his non-pension assets. He completes an expression of wishes form leaving 50% of his pension fund to his daughter, Jane, who is not involved in the company and the remaining 50% to be split between his grandchildren. Eric dies, aged 80. He has accessed some of his pension fund but most of the fund remains intact. As he was over 75, the beneficiaries of his fund are taxable at their marginal rates of tax but only if, and when, income is taken. So if a grandchild is still in full time education when Eric dies and has no other income, withdrawals up to the personal allowance could be taken with no tax and further amounts at relatively low tax rates. If another grandchild is already earning a good salary and is a higher rate taxpayer, their fund could be left to grow and accessed in their retirement. These changes may for some turn traditional inheritance tax planning on its head. With a 55% tax charge on inherited pension funds and 40% on assets not in a pension fund, the message was ‘don’t leave money in your fund – take it out while you can’. Now the message is: ‘if you have other assets, live off those and save the pension fund for another day’. 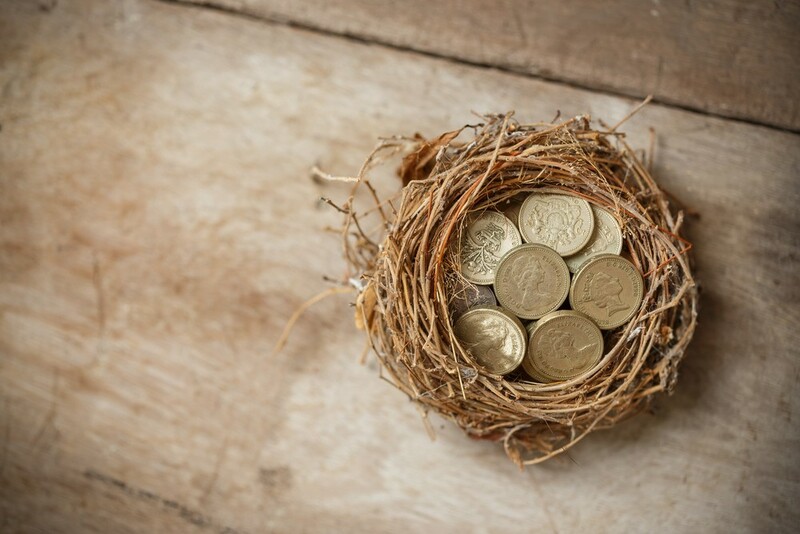 You may need access to the fund in later life, but if you don’t, there is comfort in knowing that your chosen beneficiaries will have the chance of accessing the accumulated wealth in a tax efficient way.